At SILO Distillery in Windsor, the bartenders shake up a drink called Patio Punch. It's a combination of cucumber vodka, pink grapefruit juice and orange marmalade from Blake Hill Preserves. And at nearby Blake Hill, the shelves are jam-packed with 10-ounce jars of gem-colored fruit. Among them is an award-winning orange marmalade made with SILO's small-batch bourbon whiskey. The synergy isn't surprising, given that SILO and Blake Hill occupy the same unusual 45-acre industrial park, just a mile off Interstate 91 and perched on the bank of the Connecticut River. 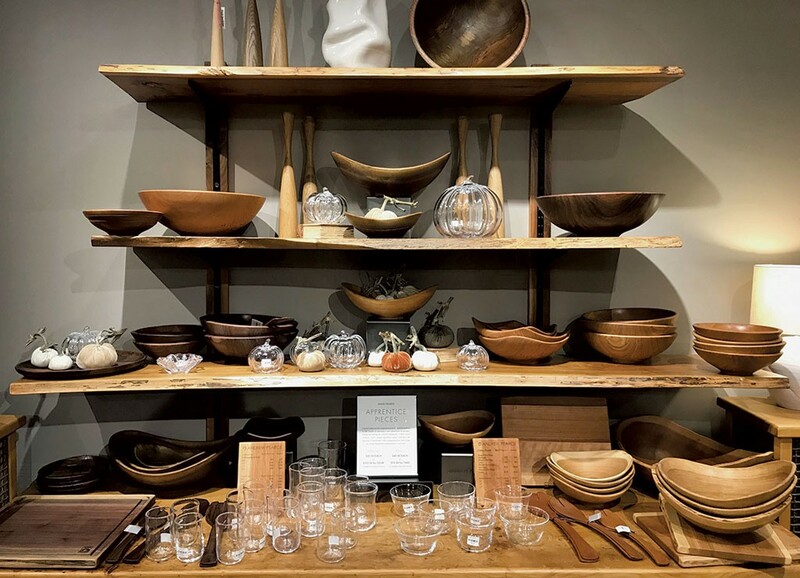 Artisans Park is also home to the Simon Pearce manufacturing plant and outlet store, Harpoon Brewery, a gourmet store operated by Vermont Farmstead Cheese, and one non-food-related biz, Great River Outfitters. While most industrial parks are designed to simplify the movement of 18-wheelers with acre upon acre of pavement and piping, this one actually functions like ... a park. Greenery punctuates the buildings, each of which has its own distinct character. The 14-acre Path of Life Sculpture Garden puts the "art" in Artisans Park and invites walkers and hikers. Outside the Vermont Farmstead store, families can enjoy a life-size chess set and a set of swings. "We want to bend the experience of what an industrial park is," says entrepreneur Terry McDonald, who owns the Artisans Park property. "The vision was to bring the customers into the businesses and give them the insider's tour." To that end, each manufacturer in the park also has a retail presence. Harpoon operates a full bar and restaurant, serving comfort foods such as poutine, clam chowder and veggie burgers made from Vermont Bean Crafters' black-bean patties. Its brews range from delicate wheat beers to heftier sips such as Interrobang, an espresso imperial stout with 18 percent ABV. SILO's wooden building is both elegant and functional. 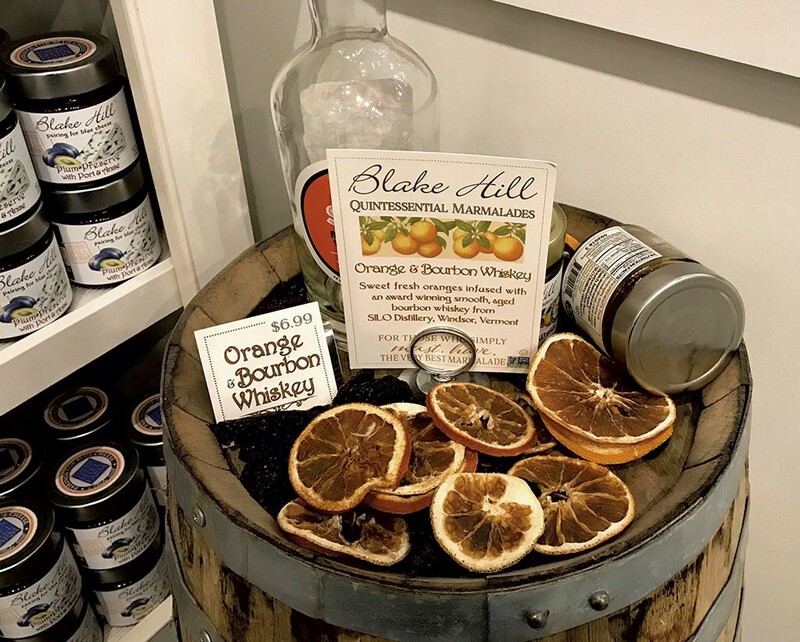 Inside, visitors can sit at the bar and try a Manhattan, made with the distillery's new maple whiskey and garnished with a "maraschino" cherry from Blake Hill plus a twist of orange peel. 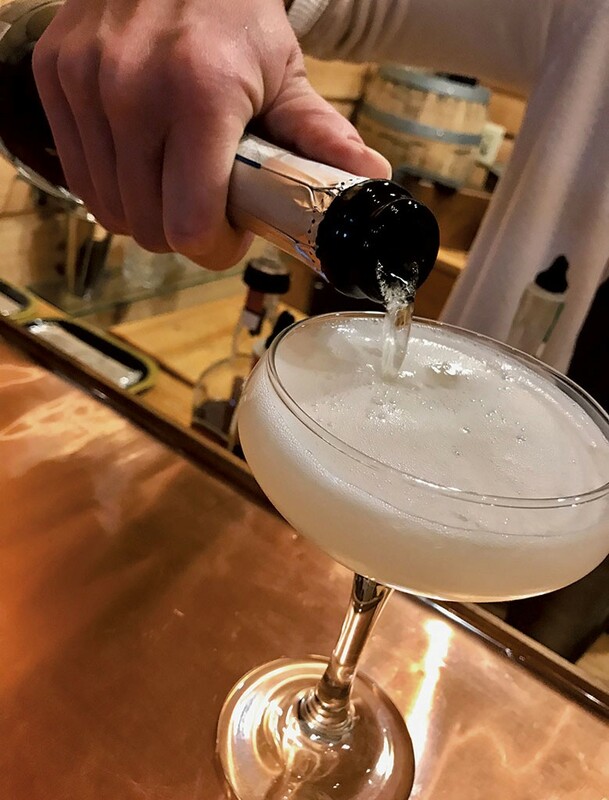 The distillery prides itself on using 100 percent Vermont ingredients in its spirits, such as grains grown in Clarendon, and on completing all its manufacturing steps in-house. While sipping drinks, curious guests can peek into the room where the magic happens. To a fanciful imagination, SILO's copper and steel distilling equipment looks like musical instruments made for giants. Upstairs, the booze biz has space to host corporate events and wedding receptions. Outside, a 3,000-square-foot patio, new this year, accommodates a summer concert series. McDonald notes that the intimate "watch and shop" approach was inspired by Simon Pearce, which was the only business on the land when he purchased it just over 20 years ago. At the nearly 40-year-old glassware and pottery business, visitors peer into the manufacturing facility to watch master glassblowers at work. Then they can load up baskets with wine glasses, curvaceous wooden bowls, white and sage stoneware plates and, in winter, distinctive glass Christmas trees. McDonald moved to Vermont with a background as a small business owner who had engaged in a variety of real estate ventures. He was ready to do something big. Though Windsor, the "birthplace of Vermont," is tiny — population 4,954 as of 2015 — it sits not far from the nexus of major arteries, interstates 89 and 91. That makes Artisans Park easy for visitors to reach. "I bought the land, and then went about waiting for the right people," McDonald says. He got his first big score in 1997, when Catamount Brewing moved into a vacant building on the property. In 2000, Harpoon Brewery, headquartered in Boston, purchased Catamount and split its production between Massachusetts and Vermont. Along with a number of jobs and lots of suds, Harpoon — which, as of 2016, is the 18th-largest craft brewery in the country — brought the fun. The brewery hosts two major annual events: the Harpoon Point to Point, a charity cycling affair; and a barbecue competition that draws thousands of hungry eaters to the property. That kind of visibility is great for the neighboring businesses, too. Each company that lands in the park provides new draws for visitors. Vermont Farmstead has a hearth; in the summer, it shows family-friendly movies and serves pizza. Couples get married in the Path of Life Garden. "The word is spreading in a nice, organic way that allows all of us to grow at a good pace," says Megan Donegan, director of sales and marketing at SILO. It took two decades, McDonald notes, but now the park is filled to the brim with the kind of manufacturers he was seeking. "I must have talked to 30 companies," he recalls with a chuckle. "It's hard to get people to relocate." For Vicky Allard and Joe Hanglin of Blake Hill, the park's newest residents, their talk with McDonald came at exactly the right time. The European couple — Allard is British; Hanglin grew up in Gibraltar — made jams and preserves in a commercial kitchen on their farm until they needed to either expand or start turning down new accounts. 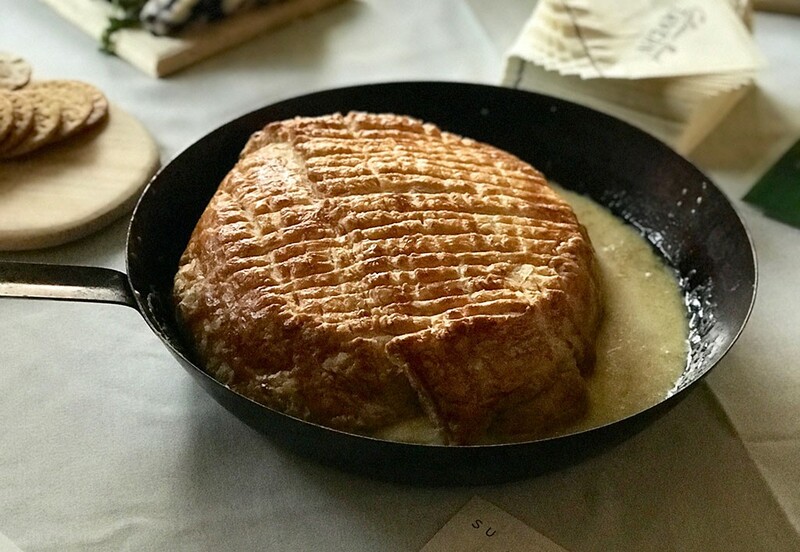 Allard and Hanglin spoke to McDonald about a space; they'd already offered samples of their wares at the Vermont Farmstead store, says Allard. Blake Hill moved into Artisans Park in 2016. "We've been super impressed and super excited to see the relationships in the park," Allard says. For Cinco de Mayo, Harpoon management asked Blake Hill to make a special mango chutney that would pair well with the brewery's mango beer. Harpoon's restaurant served it and sent happy customers to visit the preserve shop. "To make products for other [companies] in the park, and then have customers come over after trying them ... it's amazing!" Allard enthuses. "The synergy in the park has really grown over the last two years," says Donegan of SILO. "The businesses work really well together and support each other." Every two months or so, she says, the business owners meet to talk about creating more opportunities for public engagement. One result: a park passport that encourages shoppers to visit every business and collect stamps. The grand prize is a dogsled ride for two from Great River Outfitters. "The [companies] sort of feed off of each other and work together," says McDonald. While collaborations among makers in the park are strong, the goodwill spills out to other Vermont businesses, too. In 2013, Greensboro cheesemaker Jasper Hill Farm approached Blake Hill about a line of condiments designed to pair with its products. That led to the creation of a new line, including raspberry mostarda to match gooey Harbison cheese, and a plum preserve with port and anise that's a perfect pairing for Bayley Hazen Blue. Much of Blake Hill's fruit comes from local orchards; even as they rack up international food awards, Allard and Hanglin still forage for their own berries and blossoms. That collaborative spirit is part of what McDonald sought as, over the past two decades, he gradually brought new businesses to Artisans Park. Now that the land is chock-full and the various industries are humming along, he's looking to the next challenge. "You've got to figure out a way to keep it fresh and add new things," he says. What does that mean? "I'm thinking more recreational stuff, like a mountain bike experience inside the park," McDonald says. With an amphitheater in the Path of Life Sculpture Garden that can seat 2,000, he's also considering musical events and theater. Being in Artisans Park, says Donegan, gets small-business owners out of their own heads and encourages everybody to see the bigger picture. "When we meet as a team, we think about benefiting the whole park," she explains. "We're always looking for new ways to draw people in." The original print version of this article was headlined "A Walk in the Park"